Made with a solid wood frame and with the natural coloured buttoned upholstery this is a fantastic bedroom chair or accent chair. The natural linen compliments the pale legs giving a wonderful overall finish. The traditional feel of this upholstered bedroom chair is completed by the buttoning and turned front legs. All this is complemented by the natural linen finish. 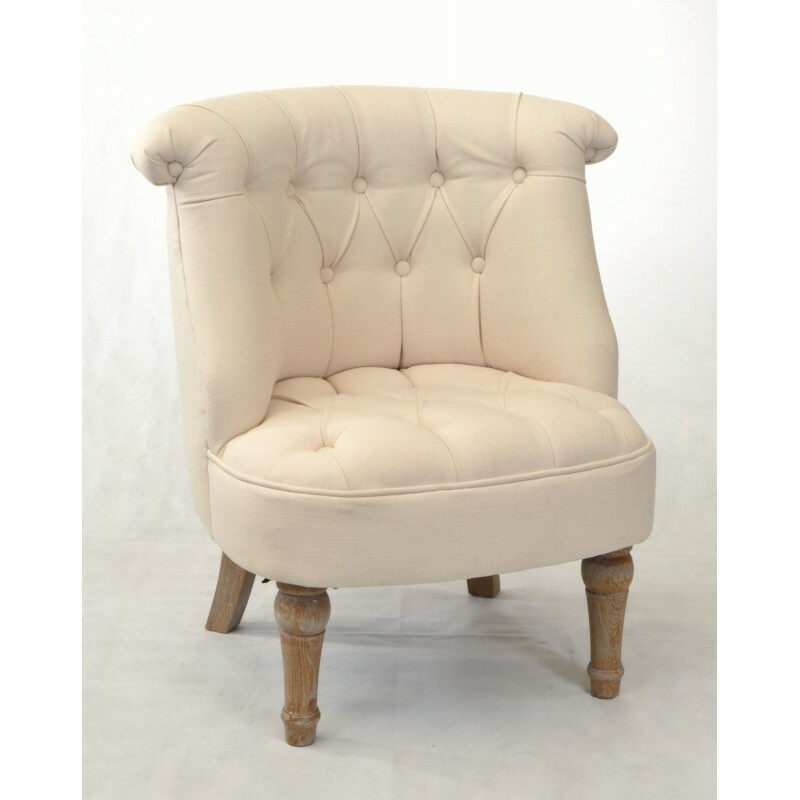 The style if anything adds to the comfort of the chair with the scroll back having a gentle curve to give a full support. The underlying solid wood frame gives you a chair to last.